“I had been told all this discrimination against women, from the 1970s, was a thing of the past,” said Colleen Bollin of the National Center for Biotechnology Information. 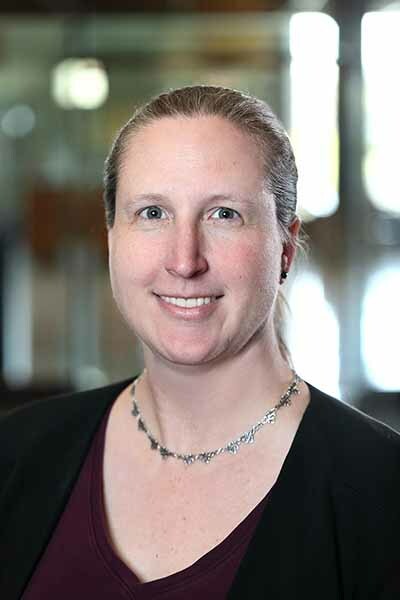 From her college years to her distinguished career leading the technical development team for processing submissions to GenBank, Bollin has had to figure out how to maneuver in a traditionally male-dominated STEM field. This is particularly important when it comes to how to spend one’s time. She recognizes that this can be harder for women. “Women in particular are targeted for marketing,” she says. Bollin admits to having had her own challenges with sites that primarily focus on women. Her personal list of how she spends her free time reflects her varied interests: traveling, running, and learning to play the ukulele and the dumbek (a goblet-shaped drum played in the Middle East, North Africa, South Asia and Eastern Europe). She also sews medieval costumes using patterns from all over the world to wear at Pennsic, an annual medieval festival. Bottom line, she says, is, “Figure out what is important to you.” She also cautions against judging other people for their choices. But no matter what’s going on, Bollin can always fall back upon the one rule that she’s always had.